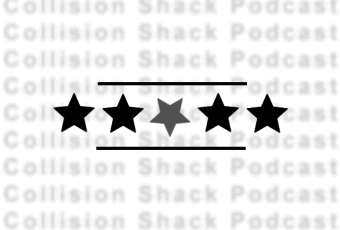 What is the Collision Shack Podcast? 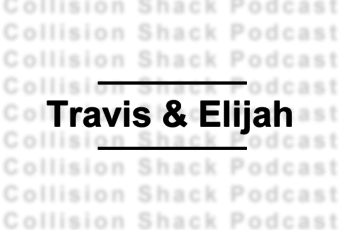 Hosts Travis Flesher and Elijah Martin will like to fill your ear holes with some quality comedy. 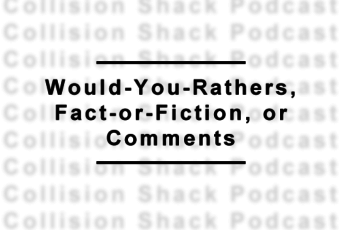 Hypothetical questions, Would-You-Rather’s, Fact or Fiction segments are one of the many breeding grounds for some very… interesting… conversations. 31 | Have you guys heard of this “Cool Ranch” flavored Doritos? 30 | The Airport Red Carpet! The truth? You want the truth? The truth is, we have a myriad of guests on who spice the show up with their unique perspectives and hot takes. Guests including John Mulaney and Seth Rogen!